Filip, aged 8, is the youngest person to feature in the Rare Disease Day 2019 testimonial videos. He is from Bucharest, Romania and lives with the rare disease achondroplasia, which affects 1-9 in 100 000 people. Fortunately for Filip, there have not been too many medical complications. 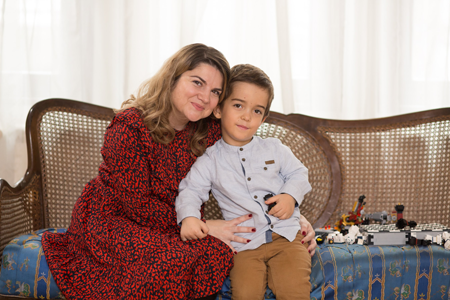 However, he and his mother Alina, who also features in the video, continue to learn how to best navigate the challenges that come with living with a rare disease. The doctors had their suspicions about Filip’s health while Alina was pregnant but following his birth she was initially told that Filip was healthy. It was only shortly after, when a paediatrician came to visit, that they noticed Filip’s legs were shorter than expected and his fingers were all the same size. After originally being referred to an endocrinologist and consequently a geneticist, Filip was diagnosed with achondroplasia three months later. Due to the visibility of its key symptoms, achondroplasia is comparatively easy to diagnose. However, finding the geneticists and genetic testing needed for a diagnosis is often challenging. During their medical journey Filip and his parents have come to learn that living with achondroplasia requires an extensive multidisciplinary team of doctors and that it can be difficult to get coordinated medical care. 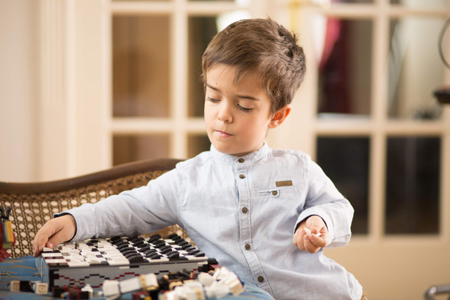 Although Filip needs more resilience and energy to complete activities than other children his age due to his size, he still enjoys many hobbies. Along with going to school, Filip also finds time to play the drums, chess and take part in many sports, including karate and swimming. Filip says that his height is an advantage with sport as it helps him do certain gymnastic moves. Alina sees a need for greater awareness of the disease in educational systems so that schools are more willing and able to help children with achondroplasia integrate into schools. This can be achieved by small actions that have a great impact such as adjusting the height of a chair and toilet. However, in recent years, she has noticed that society is moving in the right direction towards acceptance of our differences. Filip also features in the Rare Disease Day 2019 poster.